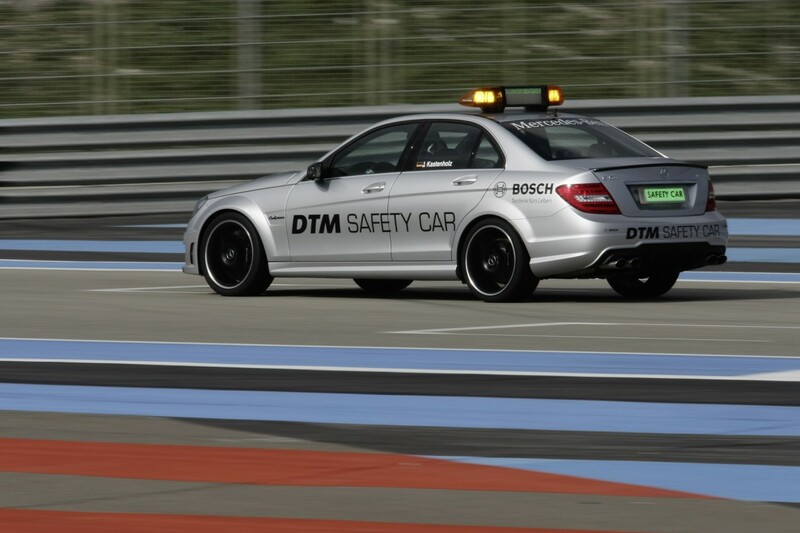 The Germans from Mercedes-Benz proudly announced that the new C63 AMG Performance will be the official Safety Car for this year’s season of DTM (Deutsche Tourenwagen Masters). 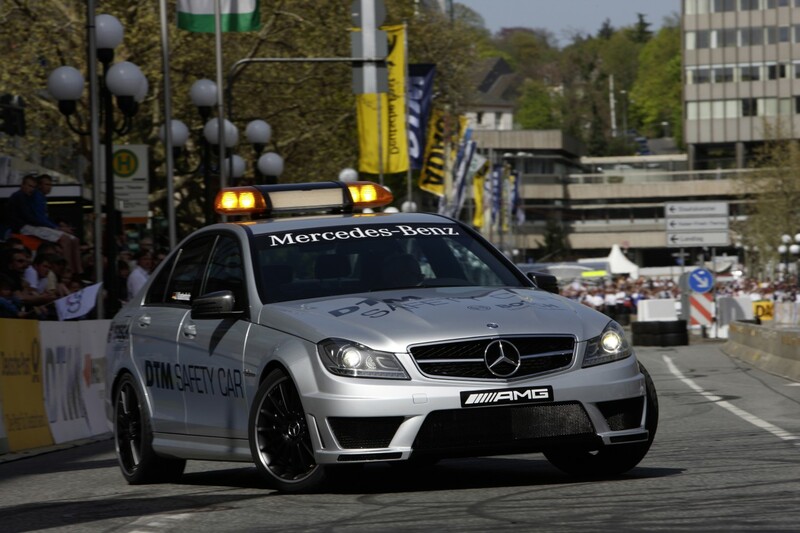 As its name says, the German model received the AMG package but also the Performance kit which makes it ready for the first race in DTM, an event which starts these days and will be held at Hockenhein. 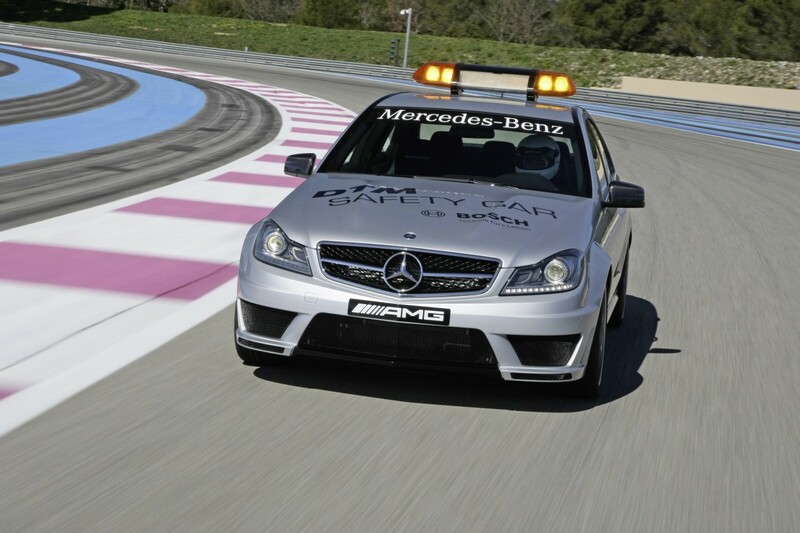 The Mercedes C63 AMG Performance will perform the tasks of a safety car making sure that nothing will get out of control. 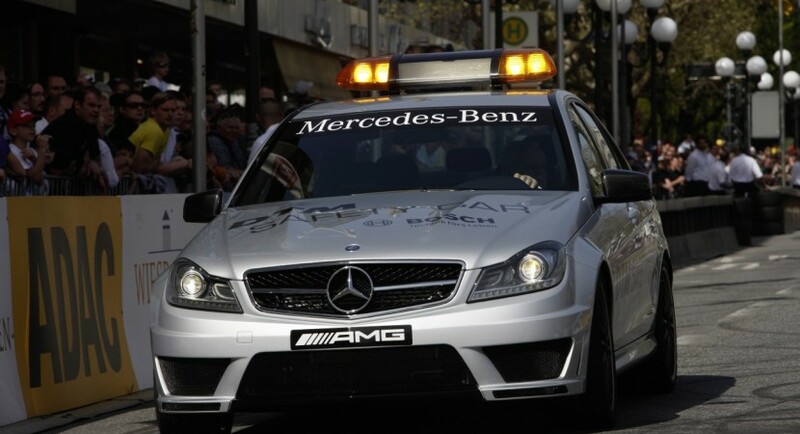 In order to complete this duty, the German model benefits from the contribution of a 6.2-liter V8 unit able to develop 487 horsepower and accelerate from 0 to 100 km/h in just 4,3 seconds. Assisting the engine is a MCT seven-speed automatic gearbox while additional features include a high performance braking system with ventilated discs, a limited slip differential, a new leather steering wheel with gear shift paddles and AMG sports bucket seats. 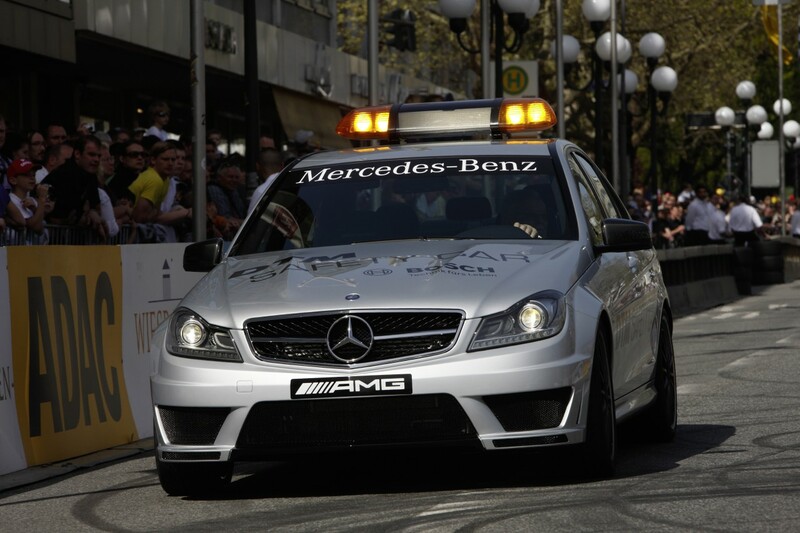 At the exterior, the Mercedes C63 AMG Safety Car receives some logos, a LED light bar placed on the roof and of course a Race Control communication system to keep connected with the staff.